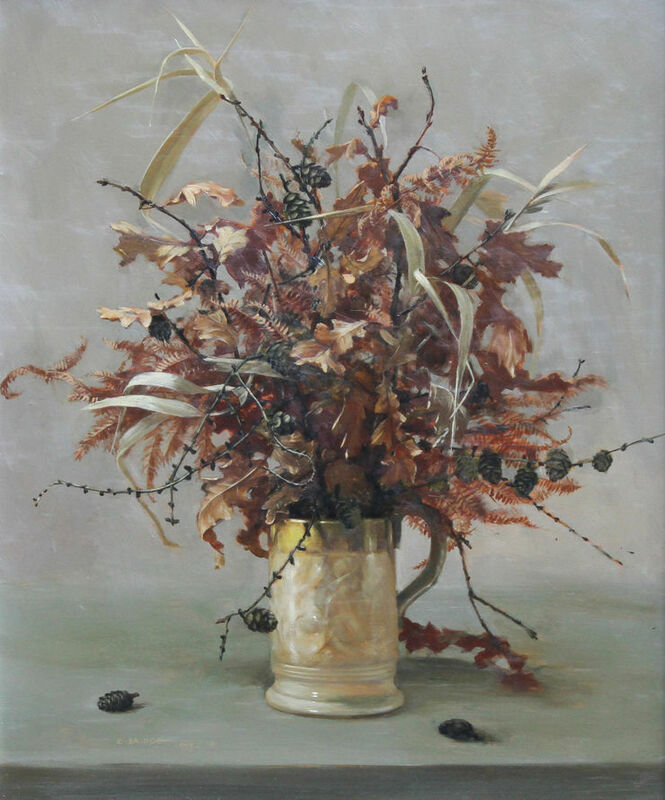 An original oil on panel by British artist Elizabeth Bridge who exhibited throughout her career. 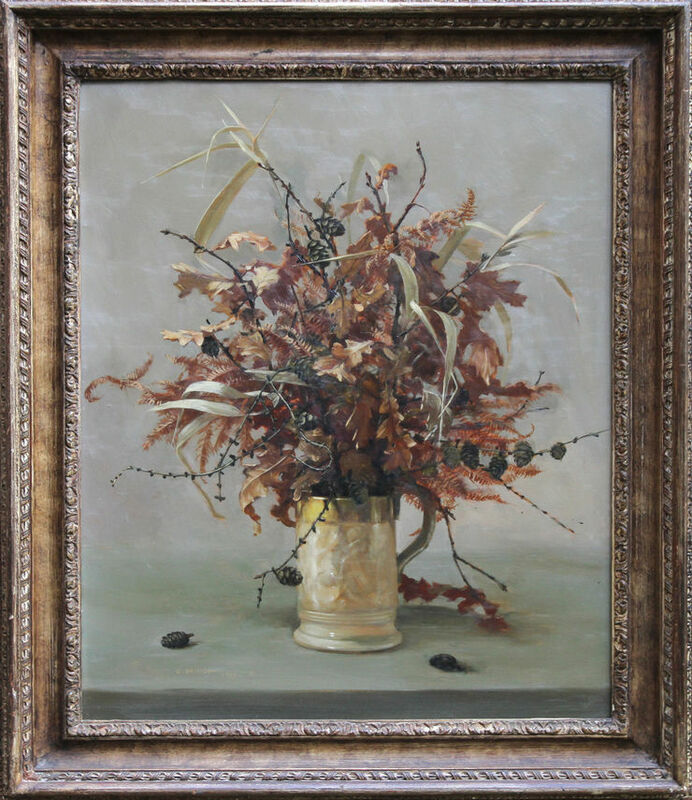 This stunning oil is a bold, adventurous and confident still life floral bouquet. It is entitled 'Michaelmas' which is associated with 29th September, the feast of Michael and All Angels and marks the beginning of autumn, hence the autumnal display. Painted by a very talented British listed female artist. This is an expressive delight. Painted in 1954 and in fine condition. The painting was exhibited at The Royal Academy in 1954 and retains the label verso. A very colourful and vibrant painting. Signed and titled verso on Royal Academy label. Housed in a Bourlet gallery frame excellent condition 31 inches by 27 inches. Gallery condition.